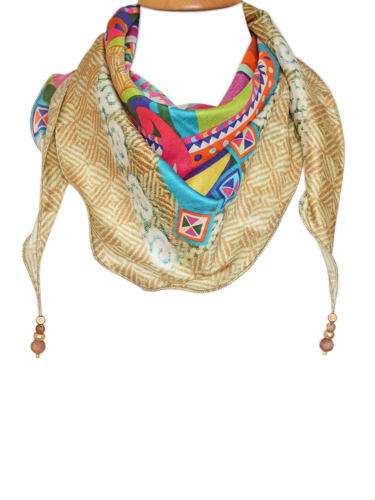 Digital printed silk triangle scarf with agate beads at each end. A chic and elegant accessory in vibrant colours and prints to complement this season’s look. Comes with a matching gift box.